https://fvhrs.org/wp-content/uploads/2018/07/DSC_5552.jpg 720 481 Liz https://fvhrs.org/wp-content/uploads/2019/04/SHR-300x300.png Liz2018-07-04 10:53:012018-07-04 11:25:03Frank Horne Heritage Discovery Centre. 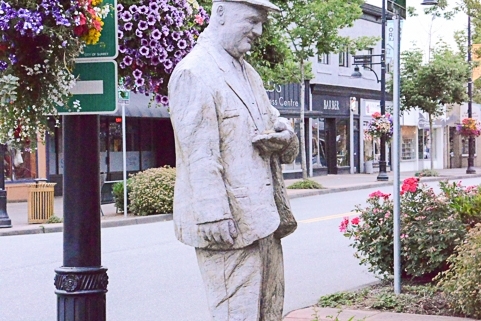 Heritage BC is a charitable not-for-profit supporting heritage conservation across British Columbia through education, training and skills development, capacity building in heritage planning and funding through the Heritage Legacy Fund. As part of their work in BC they have an annual Awards Gala, the 2017 event was held on Feb. 15th in the restored Heritage Hall in Vancouver. The FVHRS was honoured with an award for Heritage Education and Awareness. 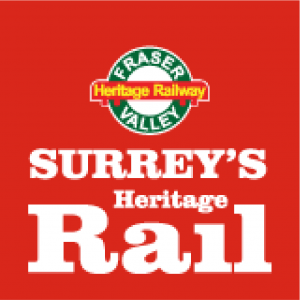 “The Fraser Valley Heritage Railway Society is a volunteer organization which restores and operates original B.C. Electric Railway trams on the original B.C. Electric Railway line between the communities of Cloverdale and Sullivan in Surrey. Operating between spring and Thanksgiving, “Surrey’s Heritage Rail” transported over 20,000 passengers. The main headquarters of the Society is in a replica “Cloverdale Station” located across the street from the Surrey Museum and the Surrey Archives, and just blocks from the BC Vintage Truck Museum. These four organizations work in partnership to support heritage education and awareness in the area. Through the tram service and the Cloverdale Station, the Society provides excellent heritage learning experiences that help riders better appreciate and understand public transportation. I was very pleased to accept this award on behalf of the volunteers, members and partners of the FVHRS. We are starting to be noticed.